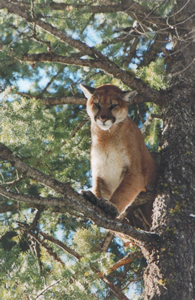 There are few states which allow mountain lion/cougar hunts, but Montana is one of them and has some great areas for hunting these cats. 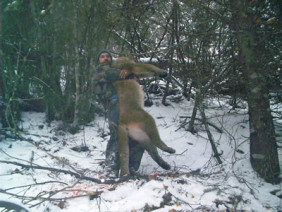 The state of Montana converted to a draw permit system for lions for Regions 1 and 2, arguably the best regions in the state for lion/cougar hunting. 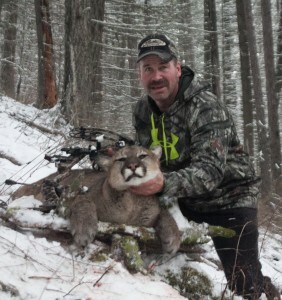 Guided mountain lion hunts are highly recommended if you want to get your cat. Not only is Swan Mountain Outfitters a high quality mountain lion hunting outfitter, but we also have the permits for the best hunting districts in Region 1. If you are trophy mountain lion hunting, you will want to designate hunting districts 102, 103, 120 or 130 as your choice in the permit application process. 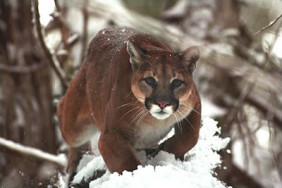 Montana residents who want to go trophy mountain lion hunting should apply for these districts in particular. If you are an out-of-state resident, it may take several years for you to draw in a special permit district. That said, if you want a guarantee to go lion hunting in any given year, we have the permit for hunting district 132, which is still governed by a quota system. 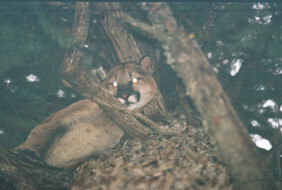 Hunters making this choice have an outstanding chance at a great cat without having to draw a special permit. Hunting district 132 has not hit the quota in the last few years, but we only take a limited number of hunters each year, so book early for this one! 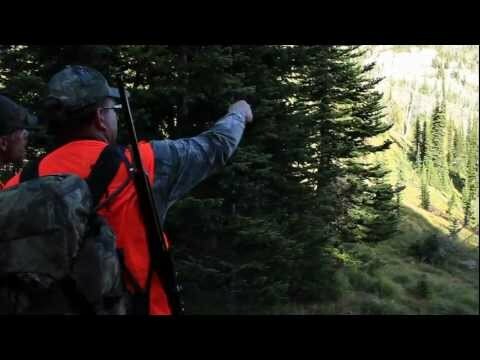 Hunting mountain lions is totally different than hunting for elk, deer or bear. Your day begins as early as 3:00 am, you’ll have a light breakfast and join our houndsmen who will instruct you on how to “cut” a track. Tracking a mountain lion involves driving or snowmobiling through a myriad of US Forest Service and private timber company roads, using spotlights mounted to the cat truck, and trying to eyeball a track from many yards away. 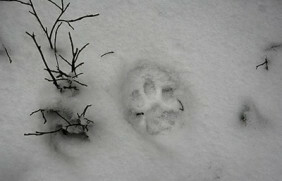 Once a track is found, dogs are put on it to see if it carries a scent. If so, they’re off and the race is on! It can take several hours for the dogs to find and tree the cat. Once the cat is treed, the hunter’s work begins – they must find the dogs and the treed cat in time before it escapes. If we haven’t treed a cat by 2:00 pm, we typically quit for the day as we don’t want to hunt in the dark. At this point, hunters have the remainder of the afternoon to relax, tour around the area or rest up. 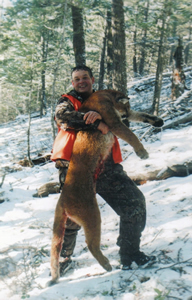 As with all of our hunts, mountain lion hunting in northwest Montana is characterized by difficult terrain: the forest is very thick and wild and the elements can be harsh. Though we use dogs to track and tree the cat, the hunters must be physically fit enough to get to the treed cat in a timely manner so that it doesn’t get away. It’s also important to note that the weather plays a key role in mountain lion hunting, as a lack of snow make it virtually impossible to cut tracks. 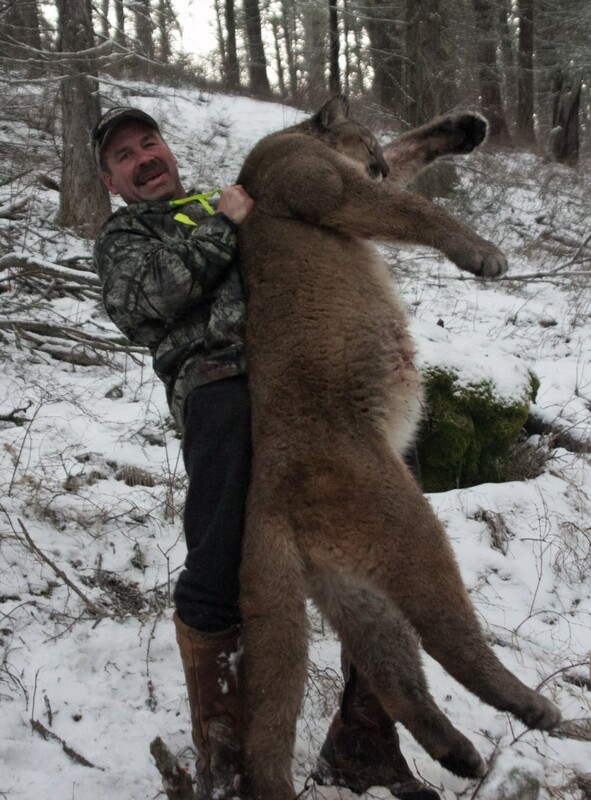 The duration of your Montana mountain lion hunt is typically 7 days. However, we can extend a hunt up to 10 days using daily rates if we haven’t got a hunter his or her cat. While there are never guarantees in hunting, the success rate for our Montana mountain lion hunts has been nearly 100% in the past. 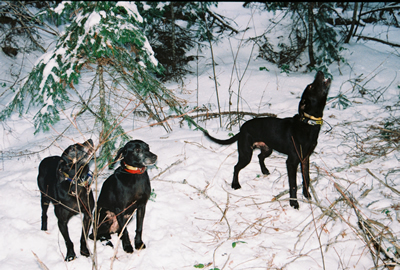 The skill of our dogs, the quality of the area we have rights to hunt in, and the quality and skill of the houndsmen we employ all play a role in our success rates at Swan Mountain Outfitters. 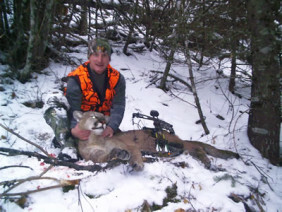 Since mountain lion hunts in Montana take place during the winter months, hunters have access to a variety of exciting winter activities that can be added on to the front or back end of their hunt. 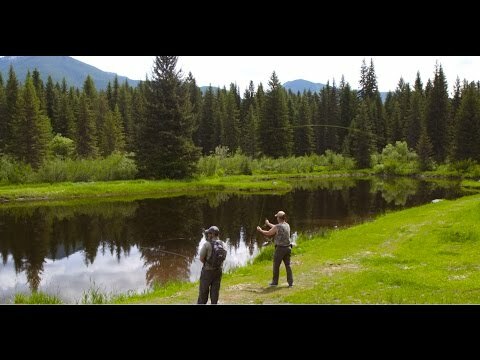 These activities include but are not limited to: downhill skiing, cross country skiing, snowshoeing, snowmobiling, ice fishing and ice skating. 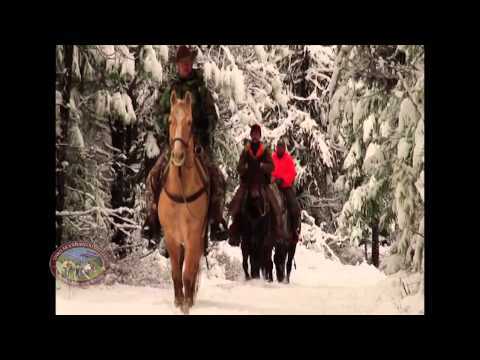 Many of these activities can be enjoyed right from the front door of Swan Mountain Ranch, where our mountain lion hunters stay during their hunt. Additionally, Swan Mountain Outfitters offers our hunters the option of upgrading their mountain lion hunt to include the opportunity to hunt for Buffalo on a private ranch.